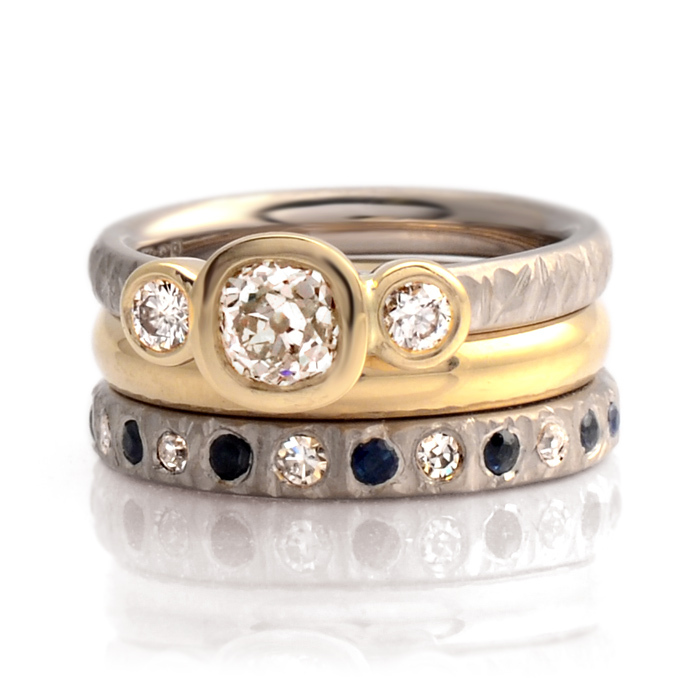 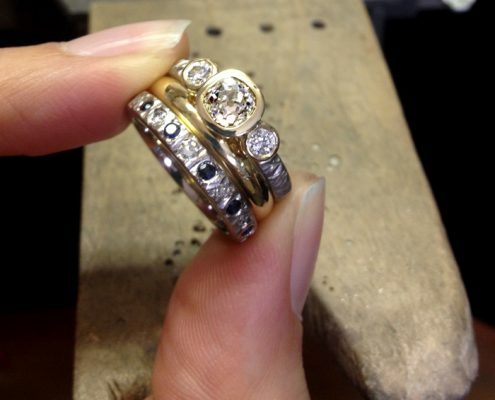 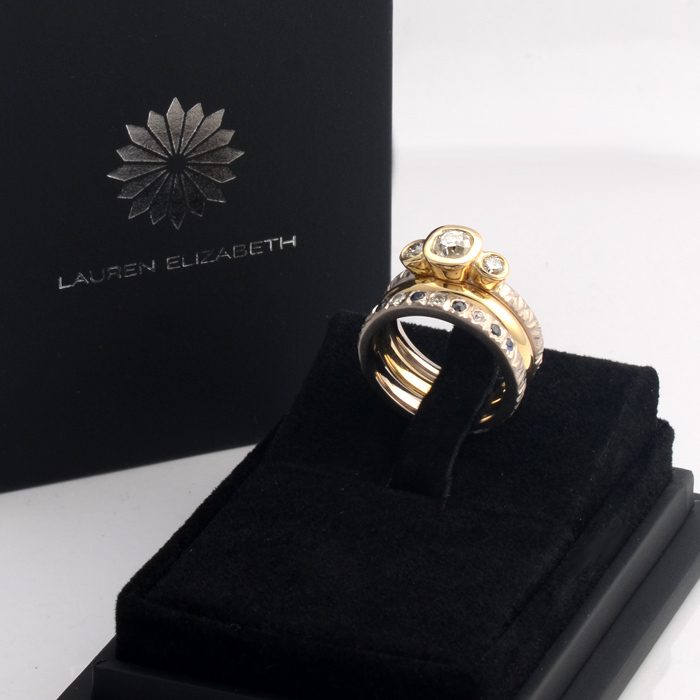 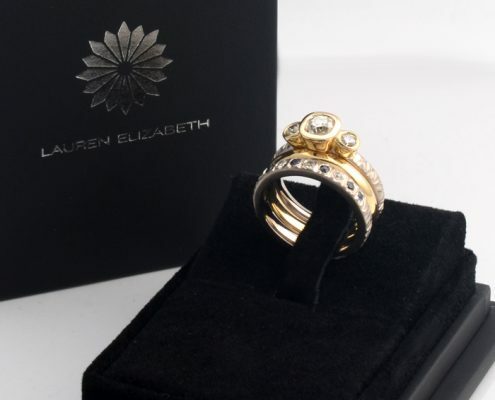 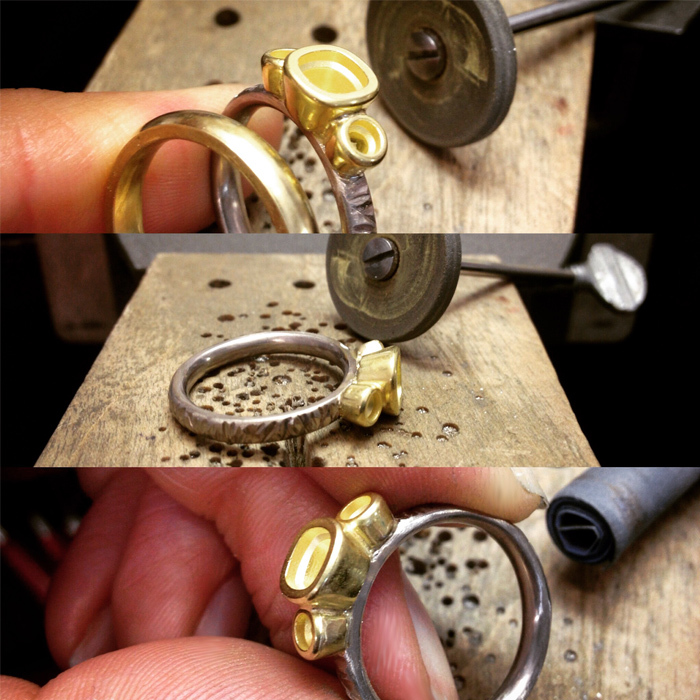 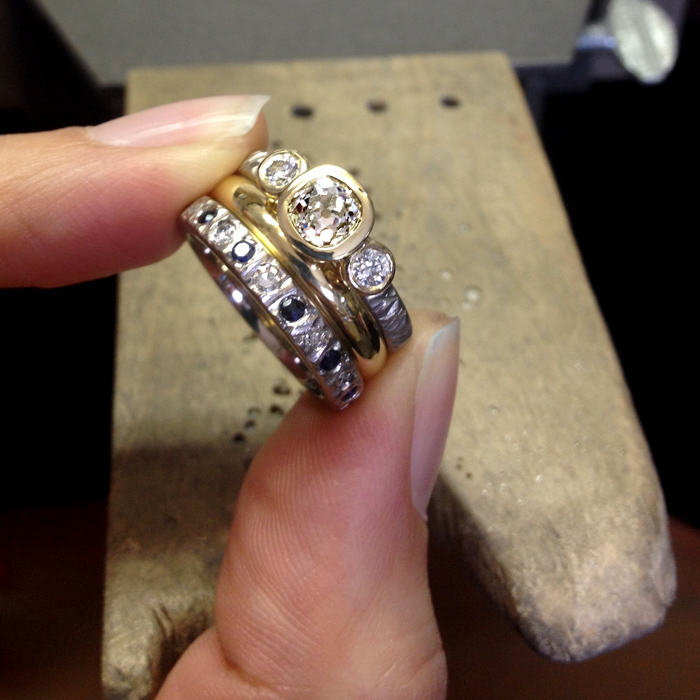 All of the Diamonds in this ring set have been re-used from the clients inherited rings and re-modelled into this new design. 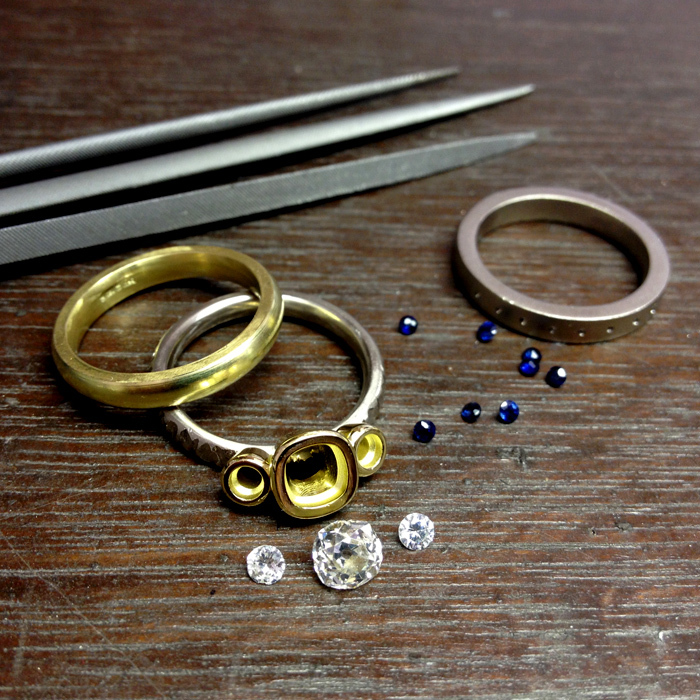 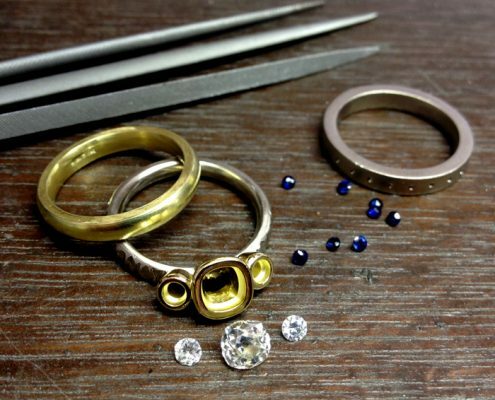 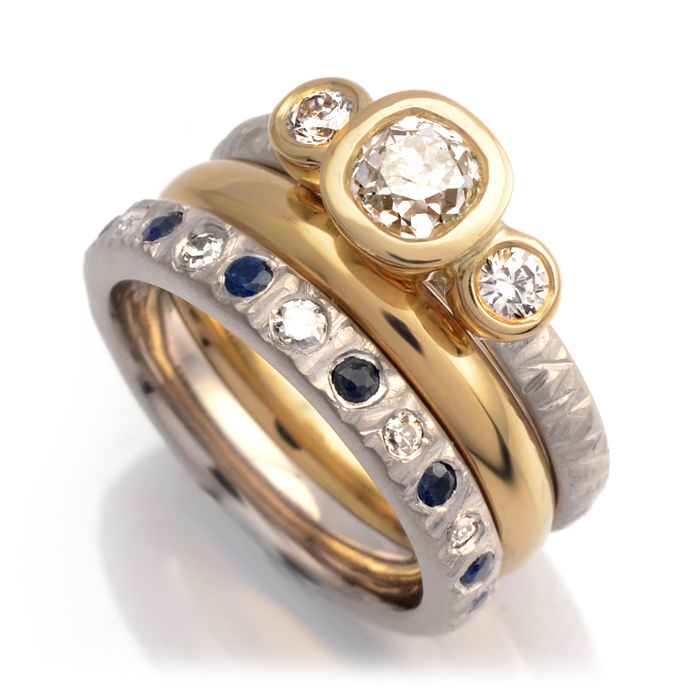 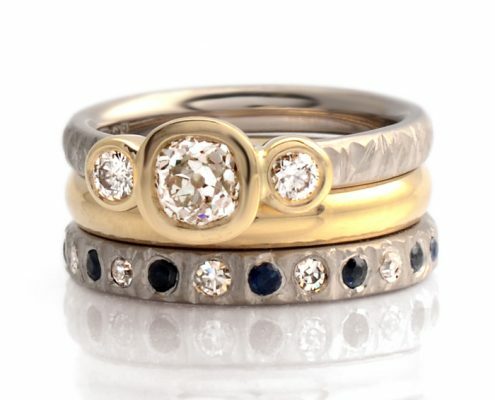 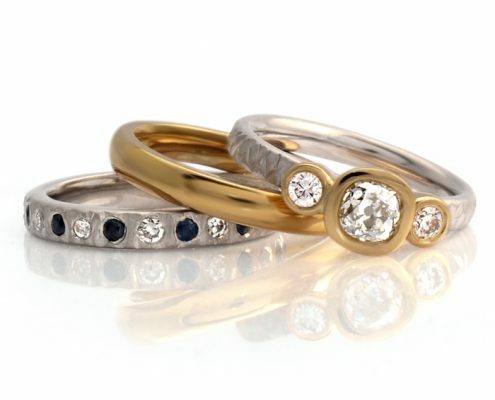 Contrasting colours of yellow and white Golds provide a lovely two-tone effect, and the addition of round brilliant Deep Blue Sapphires in the eternity ring bring a shot of colour. 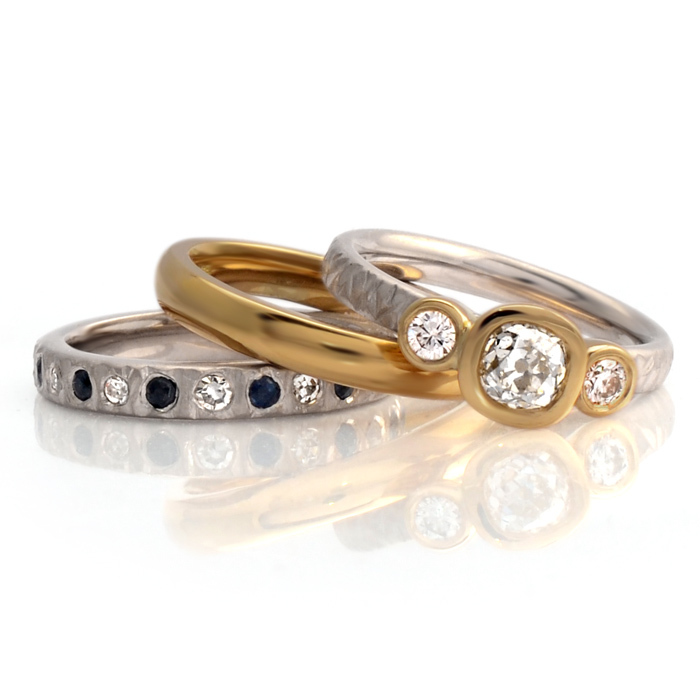 A hand textured satin finish on the outer bands of both the engagement and eternity ring provide a nice contrast against the bright polished Diamond bezel settings and wedding band. 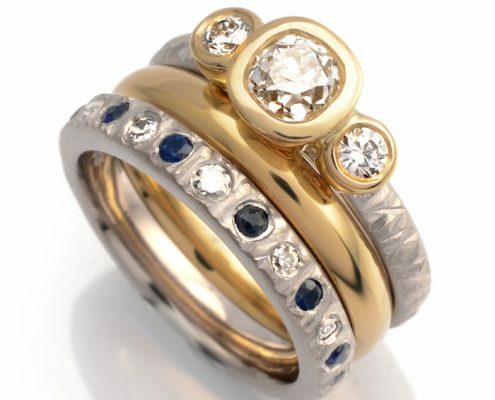 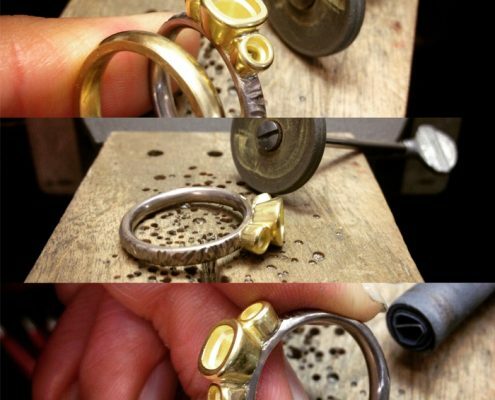 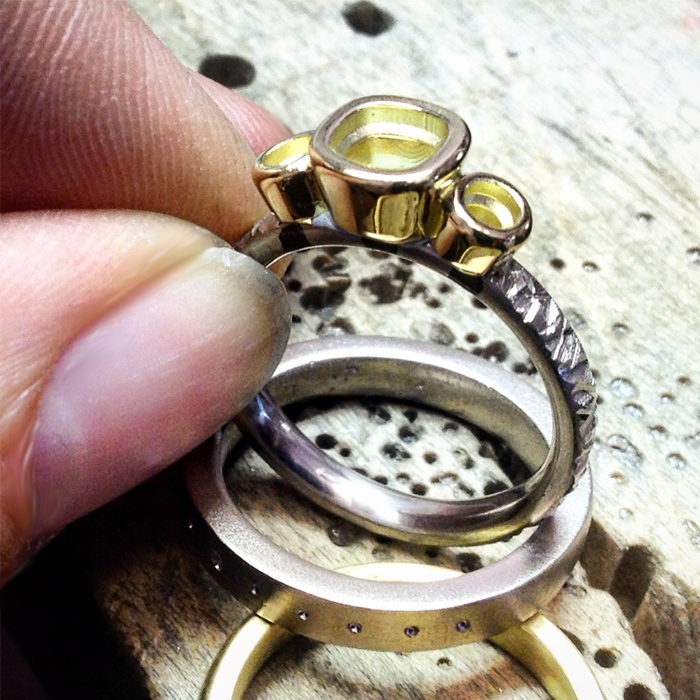 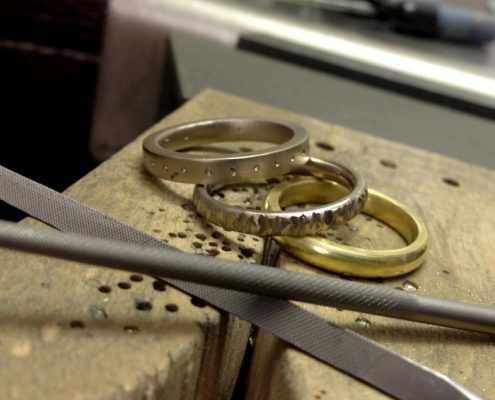 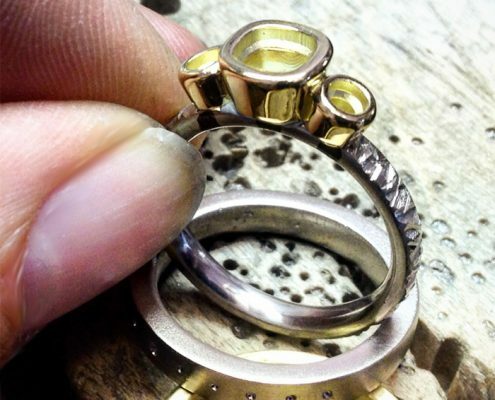 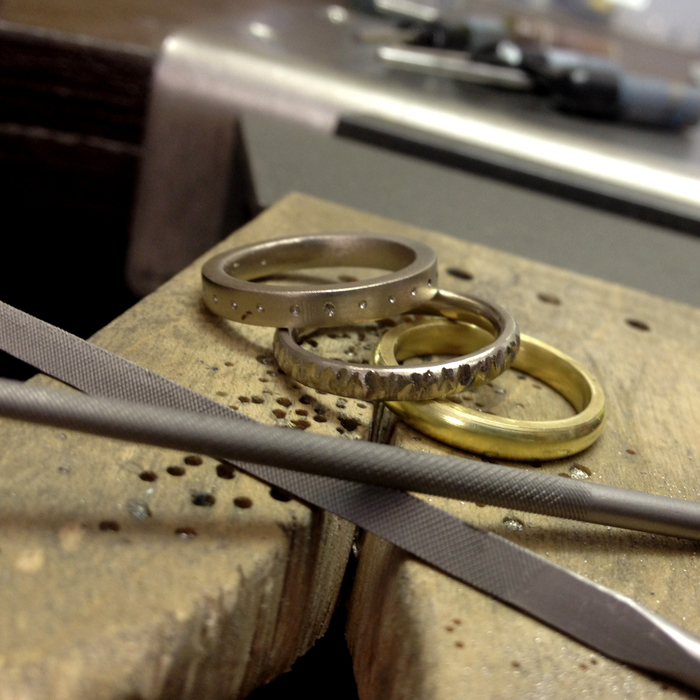 These rings can be worn as a full set or on their own.